What’s the legacy of Rethink Robotics? With the recent demise of Rethink Robotics, there were dozens of testimonials that the company revolutionized industrial robotics and kickstarted the collaborative robotics trend. There is no doubt that Baxter and Sawyer were truly innovative and more sophisticated than the average industrial robot. They were also safer than most other cobots, though at the expense of precision. So was Rethink Robotics the pioneer of collaborative robots? Many researchers think that robot calibration is an issue that has been successfully resolved decades ago, but they are wrong. While the underlying theory is well established, its practical application continues to be in its infancy. This is the first of a series of posts that will provide evidence that it is still very hard for a user to get an accurate industrial robot. 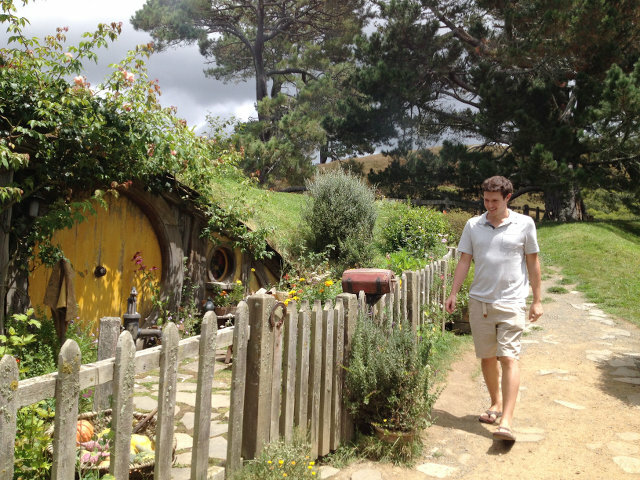 So hard indeed that a company in New Zealand didn’t hesitate to ask one of my postdocs fly in for help. Who is Gomtec, the collaborative robotics company acquired by ABB? ABB finally announced today that it acquired Germany-based Gomtec, in order “to expand its offering in the field of collaborative robots.” The acquisition actually took place in February this year. As Gomtec’s web site went offline yesterday, and journalists simply retransmit ABB’s press release, many are certainly wondering who is Gomtec? Six months ago, after the publication of our revelatory feature article regarding the safety of Universal Robots’ UR5 collaborative robot arm, Precise Automation expressed their interest to have their one-of-a-kind PF400 collaborative SCARA robot undergo a similar study in our lab. The company claims that the PF400 is “intrinsically safe since all of the forces generated by its axes are limited so that the robot cannot hurt a user even if it collides with them at full speed.” I asked one of our undergraduate students to test the demo unit that we received on loan. So does he think we should leave the PF400 fenceless? Position repeatability is one of the most important performance criteria of industrial robots. 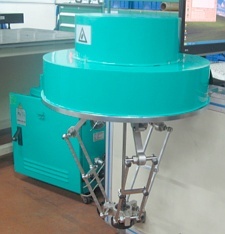 The ISO 9283:1998 norm defines it as the “closeness of agreement between the attained [positions] after n repeat visits to the same command pose in the same direction.” Position repeatability is the only positioning performance indicator that industrial robot manufacturers specify in their brochures and varies between 0.010 mm and 0.100 mm. Methods for measuring repeatability were presented in ISO/TR 13309:1995. 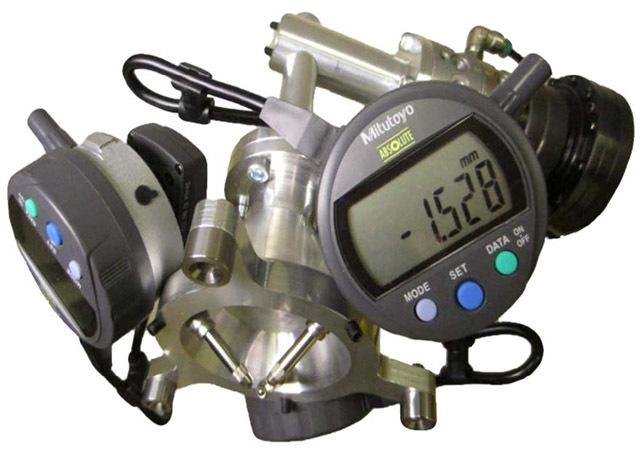 However, metrology has changed since then, so what are today’s methods for measuring position repeatability? Thomson Reuters announced two months ago the 2013 release of its Journal Citation Reports (JCR), the source of the annual Journal Impact Factors. In comparison to last year, there are no significant changes. Interestingly, however, most impact factors have slightly decreased. Furthermore, the impact factor of the only open-access journal in robotics considered in JCR, the International Journal of Advanced Robotic Systems, has dropped to 0.497 from 0.821, despite its high level of self cites (43%). This year again, Meccanica and the Journal of Mechanisms and Robotics rely on very high rates of self citation (43% and 38%, respectively). This basically means that their impact factors are probably artificially inflated by at least 20%. As I listened to a couple of presentations this week in Hong Kong about China’s massive efforts towards building robots locally, I couldn’t help but wonder how would the major industrial robot manufacturers react. 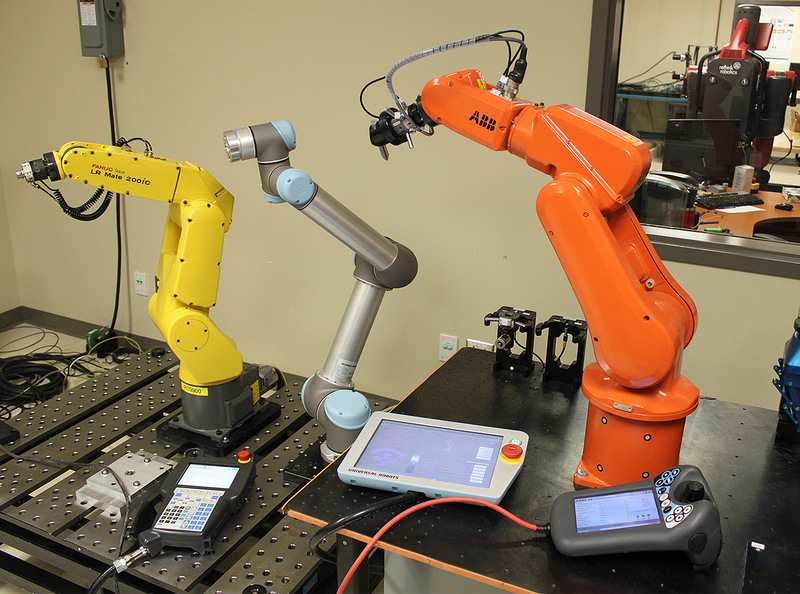 Will ABB, FANUC, KUKA and Yaskawa eventually start lowering the prices of their robot arms? In 2013, one fourth of the nearly 37,000 industrial robots installed in China were made by local manufacturers according to the IFR, and this share will continue to increase. But the real threat that the leading robot manufacturers are facing does not necessarily come from Shenzhen, Shanghai or Guangzhou. It comes from small companies around the world. Should we fence the arms of Universal Robots? There is no doubt that the robot arms of Universal Robots are by far the easiest industrial robots to use, as I already explained on this blog. The UR5 and UR10 are also robust, relatively light and affordable, and beautifully designed. But are they really safe to use without a fence? In the user manual of UR5, Universal Robots warn to “not enter the safety range of the robot or touch the robot when the system is in operation.” Yet in their marketing material, they claim that their “robots can … operate without safety shielding for most applications and this is true for 80 per cent of current installations.” They specify that “this is because … in a collision, the robot delivers less force than the 150 Newton”. What is more, there are several videos where we see a UR5 bump into an operator, and the robot does seem harmless indeed. So is UR5 harmless or not? Well, Delta robots may no longer be considered a novelty (at least the visitors of our robotics lab are no longer impressed by our FlexPicker), they are certainly here to stay. A new breed of four-armed parallel robots, however, starts to emerge. The first and best known member of this new family is the Quattro robot, introduced by Adept Technology in 2009, but several new examples are about to be launched. The main advantage of these new parallel robots is the elimination of the passive prismatic strut of 4-DOF Delta robots, which is the most problematic part in Delta robots. 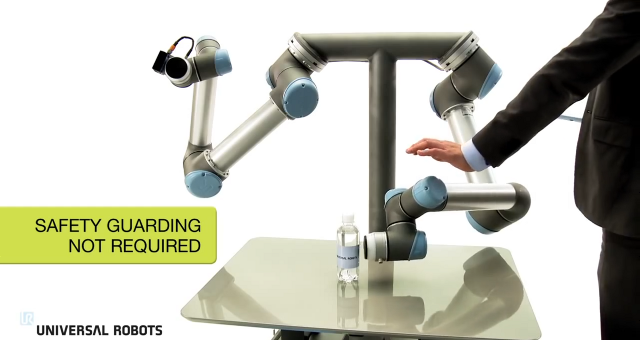 What is so special about the robot arms of Universal Robots? 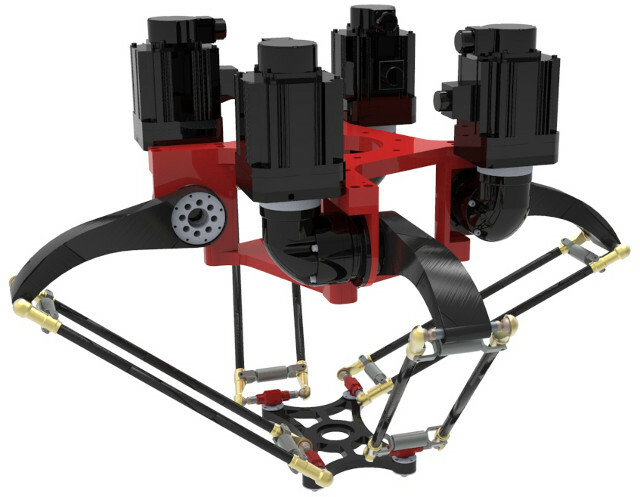 There is hardly anyone in the industrial robot business who hasn’t heard about the revolutionary robot arms, UR5 and UR10, made by Danish manufacturer Universal Robots. The now hundred-employee privately-owned firm has sold more than 2,500 of their collaborative user-friendly robot arms. 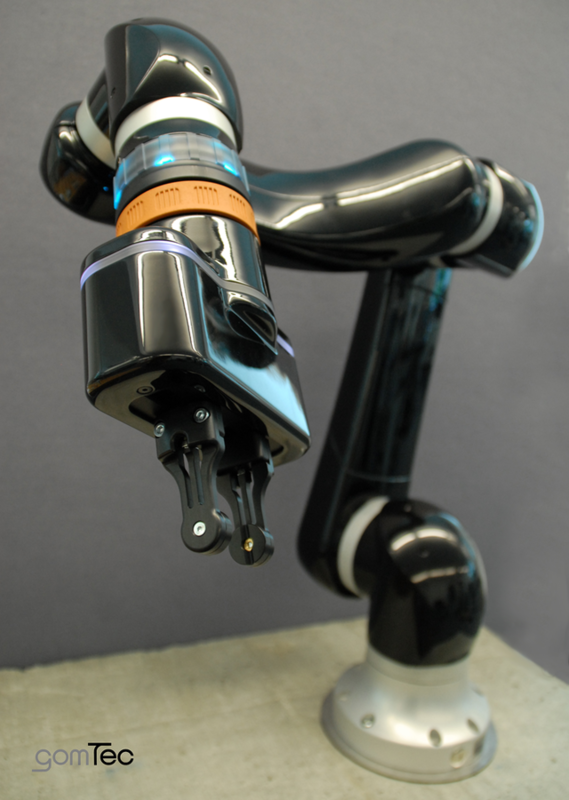 Our research lab has the UR5 robot arm as well as many other conventional industrial robots and even Rethink Robotics’ Baxter, but the UR5, with its stylish sleek design, is one of our favorite. 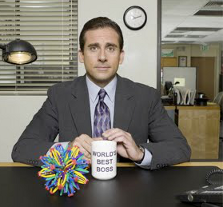 No, Newton’s cradle was not even on my list of candidates, nor any of the other toys on Michael Scott’s desk in NBC’s The Office. I don’t play with tin toy robots either, though I have a collection of miniature industrial robots. If you design serial or parallel robots, or if you simply love 3D geometry, then the following three desk toys are a must for your office (as is a 3D printer). Here are some exclusive background facts regarding my most favourite office toys, as well as some examples of how these educational toys can inspire engineers. By now, everyone knows that “China is soon expected to become the largest user of [industrial] robots,” but I believe it most probably is already. Clearly, “robots [are] on the rise in China.” Last week, at the opening of China (Shanghai) International Robot Show, the International Federation of Robotics (IFR) announced that “in 2012, China was the second largest robot market in the world following Japan.” This leapfrog was not due to an important raise in demand though — sales only slightly increased to 23,000 robots from 22,577 in 2011 — but to a 24% decrease in sales in South Korea. Thomson Reuters announced last week the 2013 release of its Journal Citation Reports (JCR), the source of the annual Journal Impact Factors. In comparison to the last time I asked myself “Should we take journal impact factors seriously?,” there are generally no significant changes in the impact factors of the journals in the field of mechanisms and robotics. An interesting exception, though, is the International Journal of Advanced Robotic Systems (ARS Journal), whose 2012 impact factor is now a respectable 0.821. The ARS Journal is the only open-access journal in the field that is covered by the JCR. Does that mean that open-access journals have finally made it in our field? Meanwhile, the original Delta robot patents expired in Europe in December 2006 and in North America in December 2007. Dozens of companies now manufacture Delta robots for pick-and-place applications, as I recently wrote on this blog. However, Delta robots, and parallel robots in general, are still expensive, except probably the ones from TOSY Robotics, which seem unfortunately impossible to purchase in Canada. 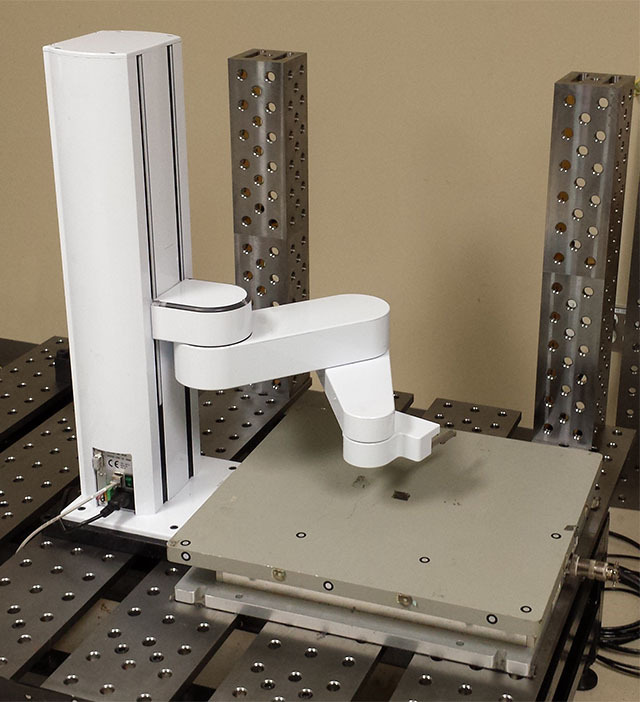 Vertically-articulated six-axis serial robots exhibit three types of singularities: wrist singularities, shoulder singularities, and elbow singularities. A wrist singularity occurs when axes 4 and 6 are coincident. A shoulder singularity occurs when the wrist center lies on a cylinder centered about axis 1 and with a radius equal to the distance between axes 1 and 4. Finally, an elbow singularity occurs when the wrist center lies in the same plane as axes 2 and 3. When a robot is controlled in cartesian mode and passes near a singularity, the speed of some joints becomes suddenly very large and the cartesian velocity of the end-effector is significantly reduced. For this reason, trajectories that make the robot pass near singular configurations should be avoided. M.J.D. Hayes, M.L. Husty, P.J. Zsombor-Murray, 2002, “Singular Configurations of Wrist-Partitioned 6R Serial Robots: a Geometric Perspective for Users”, Transactions of the Canadian Society for Mechanical Engineering, Vol. 26, No. 1, pp. 41–55. By 2014, China is expected to be the largest consumer of industrial robots, a striking development being driven by rising wages in that country. According to the International Federation of Robotics, 22,577 industrial robots were installed there in 2011, compared to only 14,978 in 2010 and 5,000 in 2009. 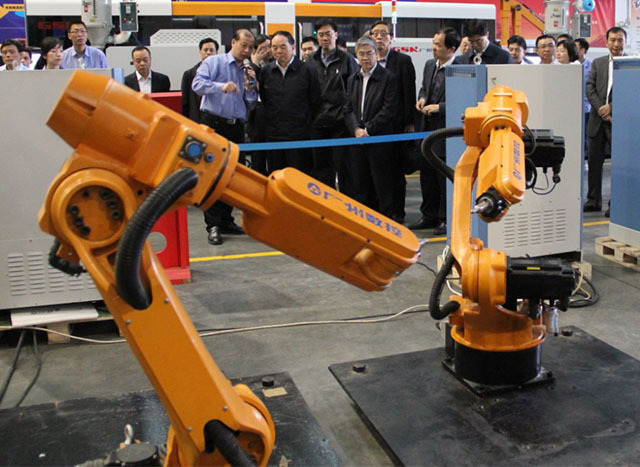 Some of the world’s largest industrial robot manufacturers — FANUC, ABB, KUKA, and Yaskawa — have set up production units in China. ABB Robotics, for example, celebrated production of their first 100 robots at their plant in Shanghai in as early as 2005. In 2009, their Chinese R&D team even developed a brand new robot, the IRB 120, which I happily use in my undergraduate robotics course. KUKA alone, which enjoyed a 16% market share in China in 2011, claims to have sold more than 7,000 robots in that country. The Chinese have now established their own robot manufacturers. ESTUN Robotics, headed by a bright former fellow student of mine (Dr. Jiegao Wang), is one of these, as is GSK CNC Equipment. 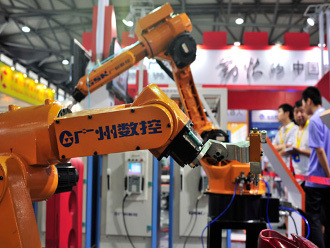 However, it wasn’t until July, 2011, that speculation began about the ways in which robots would replace workers in China. 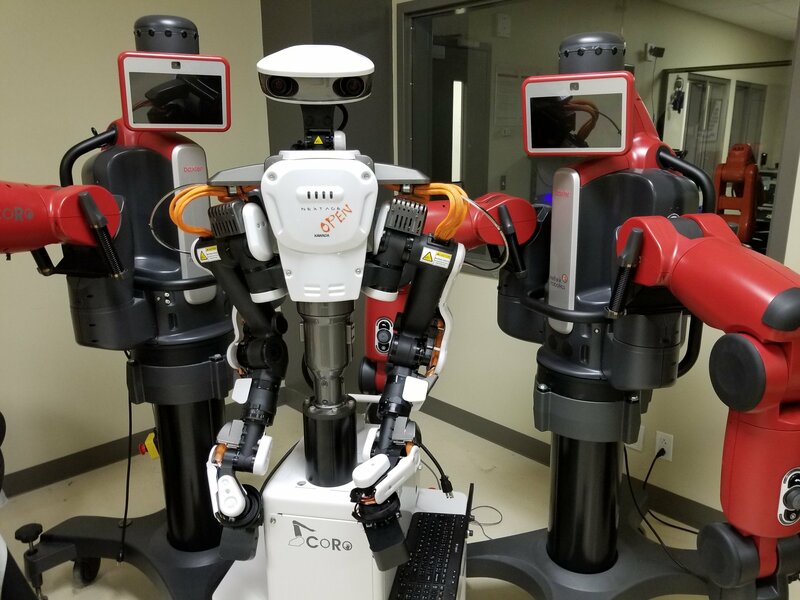 Ever since I wrote my feature article on the Delta robot, more than a decade ago, I’ve been wondering whether the Delta robot — or any similar parallel robot — is really better than a SCARA robot. Of course, the Delta robot, invented by Prof. Reymond Clavel some thirty years ago, has been a huge success. 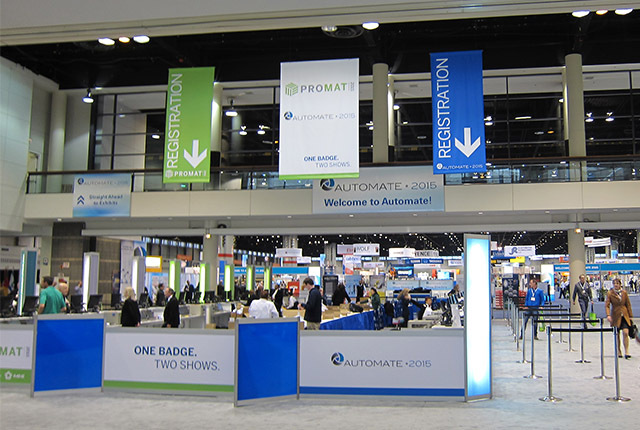 More than 10,000 units of pick-and-place Delta robots have been sold by ABB, SIG, BOSCH and many other companies. (ABB alone claims to have sold more than 1800 units.) Now, that the original patent of the Delta robot has expired, there are dozens of companies manufacturing Delta robots for material handling applications (FANUC, Motoman, Kawasaki, Codian Robotics, Asyril, etc.). Some of these Deltas are suspiciously low-cost (TOSY Robotics of Vietnam sells their TI P306-01 Deltas for $2,500 each), but in general, a 4-axis Delta robot such as the FlexPicker costs more than $40,000.